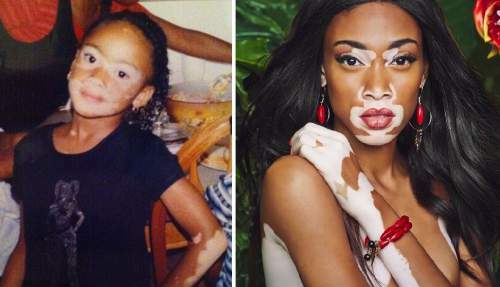 They Bullied Her as A Child Because of Her Skin. Today Her Skin Made Her Famous! 1: Generalized vitiligo: This type of vitiligo causes the pale patches to progress similarly or symmetrically on the body. 2: Segmental vitiligo: This type of vitiligo appears only on one side of the body. This type tends to impact younger children. The pale patches progresss for a short time, then stop. 3: Focal vitiligo: This type of vitiligo affects only a few areas of the body, but doesn’t progress symmetrically.